Where does man end and machine begin? That's a question you'll ask yourself after listening to the incredible one-man industrial metal band known as AUTHOR & PUNISHER. 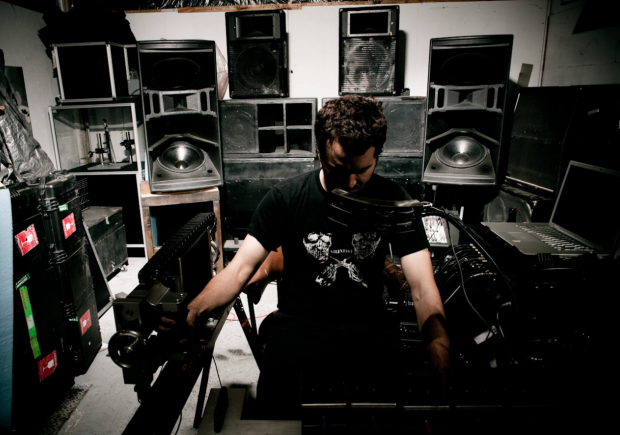 Author & Punisher is the creation of TRISTAN SHONE, who creates bone-rattling, ultra-heavy music using machinery that he creates himself. The project is starting to gain a lot of notoriety, so what better time for Dr. Abner Mality to leave Wormwood Labs and hook up with this mad scientist of metal music? The result is a unique interview with this very intelligent and outspoken artist, which you can read HERE! THE LOVE BELOW "Every Tongue Shall Caress"
CERULIA "The Wishing Tree Vol. 2: Birth of a Titan"
TANKARD "A Girl Called Cerveza"
SABBATH ASSEMBLY "Ye Are Gods"